Durability and long service life characterize our equipment. 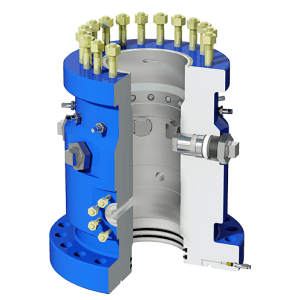 Our API 6A-compliant wellheads are designed to meet the highest standards and have been used for decades in oil and gas production, storage technology and deep geothermal applications. Made of high-quality materials, they are equipped as standard with gas-tight, purely metallic sealing ball valves. 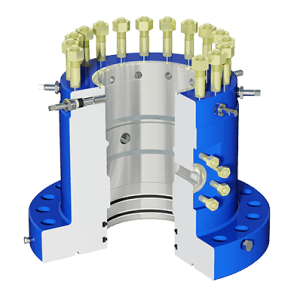 An integrated design not only minimizes height and weight, but also saves a lot of money by saving on flange connections. For the assembly service, repairs and maintenance an experienced service team is available around the clock. 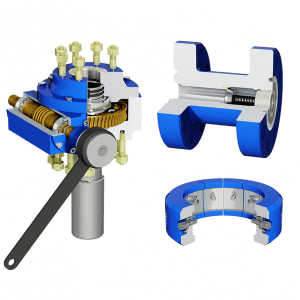 Gear of the Base Flange series are available in all sizes and implementations common to the industry, as well as also to customer specifications. Gear of the Casing Double Flange series are available in all sizes and implementations common to the industry, as well as also to customer specifications. 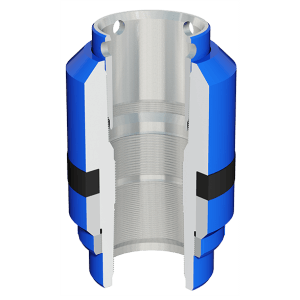 Gear of the Tension Spool series is a casing head with moveable mounting position that permits underpinning and can therefore be tension-dependent. 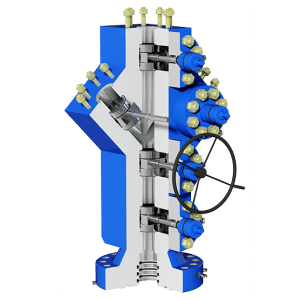 Gear of the Shape and Clamp hanger series are mobile installations that brace a liner pipe in a casing head. 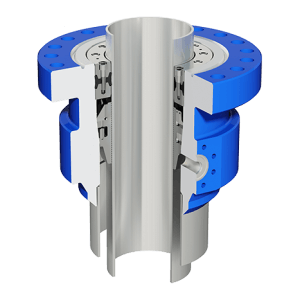 Gear of the Solid block series is the pinnacle of technical innovation, and can be implemented correspondingly in the most different configurations, according to customer specifications. Gear of the Special components series are tailored specifically to your requirements, and designed with API 6A or other valid norms in mind.